Our Model D Stereo Microscope offers a built in turret objective that lets you easily switch magnification from either 10x & 30x (D−01110) or 20x & 40x (D−01115). Head can be raised or lowered on post to accommodate various sized specimens. Versatile illumination system offers incident (top) lighting or transmitted (bottom) lighting through the frosted glass stage plate. 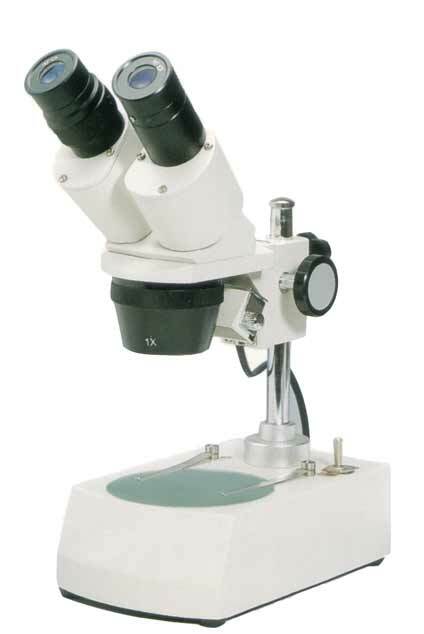 Here's a list of the many features included with this stereo microscope package. Also available: Wide variety of reticles (uses 21mm diameter) which can be purchased here. 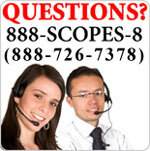 Extra eyepieces are available in 15X (S−25208) and 20X (S−25210) magnifications.